April 17, 2019 - In a very short amount of time, Tenaha’s community put together a very nice helping hand for our Alto neighbors. They will be in our continued prayers as the days go by. It will take some time to rebuild and overcome this terrible tragedy but we know our neighbors are strong. Monday - Friday, April 22nd – 26th, 2019, 9am – 2pm. 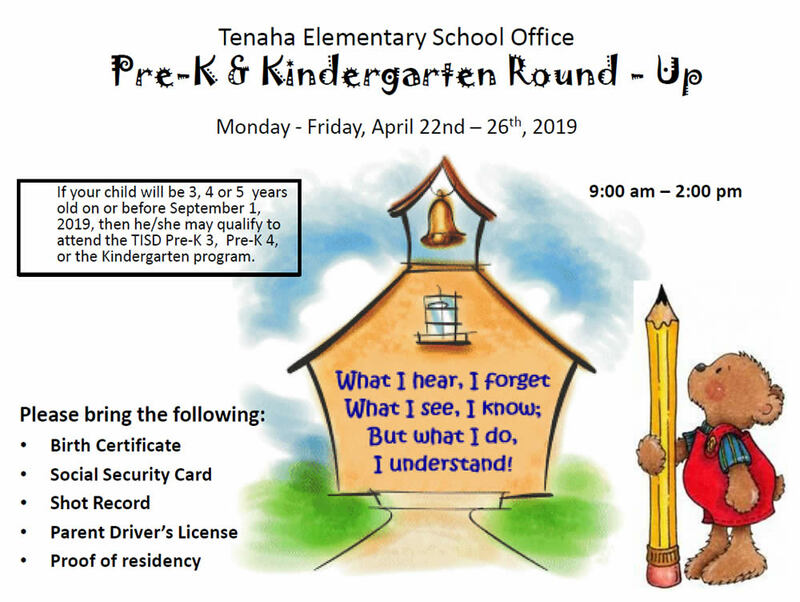 If your child will be 3, 4 or 5 years old on or before September 1, 2019, then he/she may qualify to attend the TISD Pre-K 3, Pre-K 4, or the Kindergarten program. April 9, 2019 - Tigers vs Mt. Enterprise baseball game scheduled for today in Mt. Enterprise has moved to 4pm. April 5, 2019 - Tenaha vs Martinsville Baseball Game Scheduled for today is cancelled due to fields being too wet. April 2, 2019 - Tenaha Junior High Tiger track in San Augustine scheduled for Thursday has rescheduled to Wednesday, April 3rd. March 29, 2019 - Tenaha ISD will dismiss classes at 1pm Friday, March 29, 2019 so that staff and students may attend Mrs. Martha Boren’s funeral. 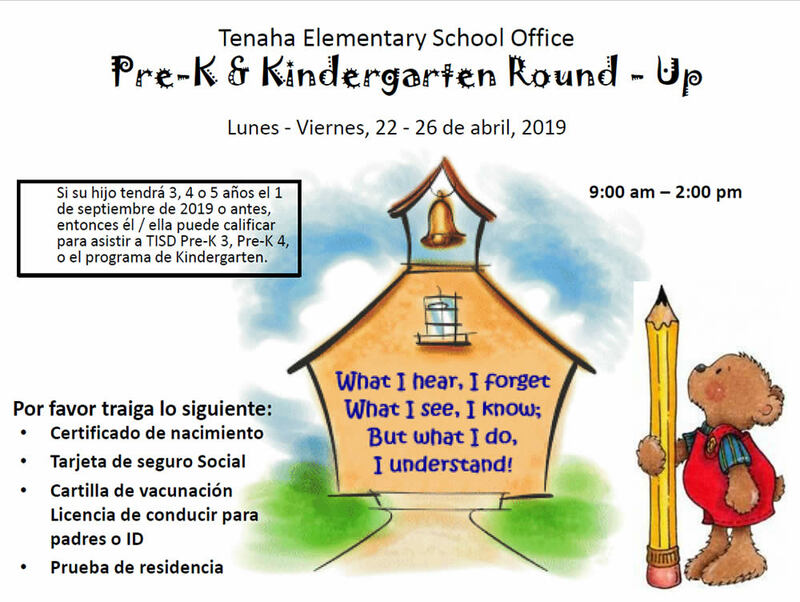 March 22, 2019 - Plans are under way for the 25th Annual Tenaha High School Project Graduation to be held on Thursday, May 30, 2019. This is an all-night, chemical-free celebration that provides our graduates with a safe, secure, and memorable night. This year we have approximately 38 seniors.